Men's premium dress socks from Pantherella. 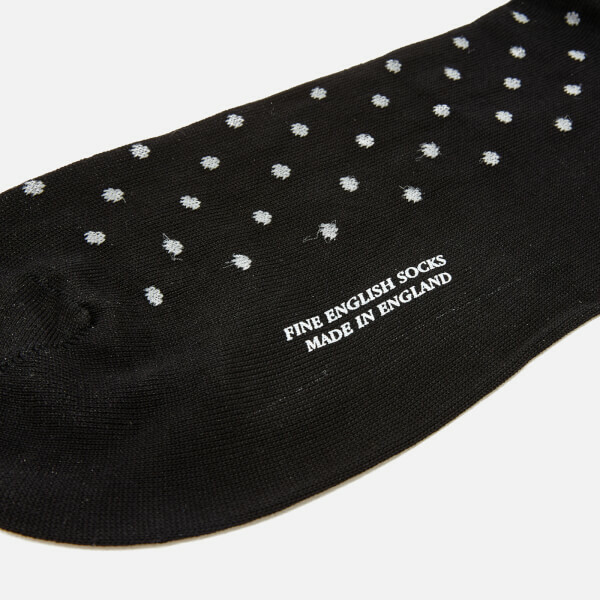 Cut from high quality Fil d'Ecosse with a polka dot design, the hand-finished 'Streatham' socks utilise the finest Italian sourced, extra-long staple Egyptian grown cotton. The extra-long staple ensures a high quality finish, and the Mercerisation process it undergoes results in shiny, shrink and pill-resistant yarn. The bestselling socks add a premium touch to your attire, and have been constructed with the brand's signature seamless toe.